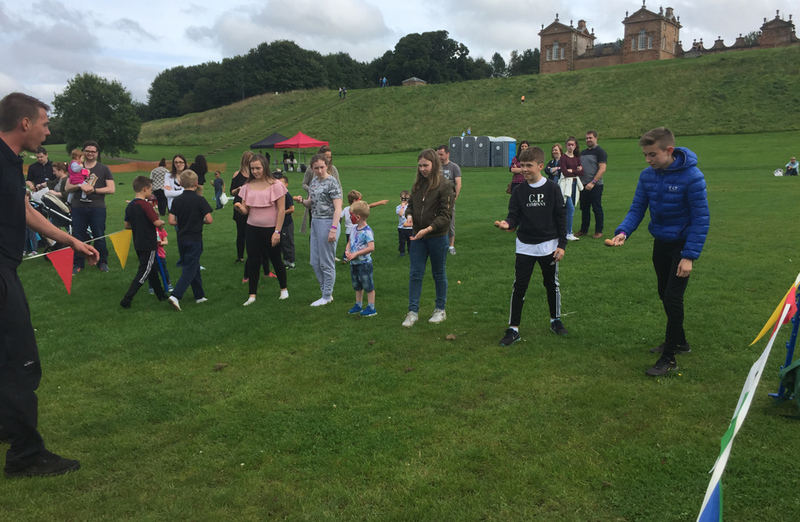 Chatelherault Country Park was the backdrop for Pharmaceutical Product Development’s Corporate Fun Day on Sunday 27th August 2017. The sun shined as guests arrived to enjoy their lunch and a variety of activities, provided by Team Challenge Company. The face painter had everyone believing in magic as children were transformed into dragons, butterflies and unicorns! They all fought to become the best of the best when it came to the races, desperately dashing after their eggs as they fell off spoons and attempting to balance their bean bags on their heads. 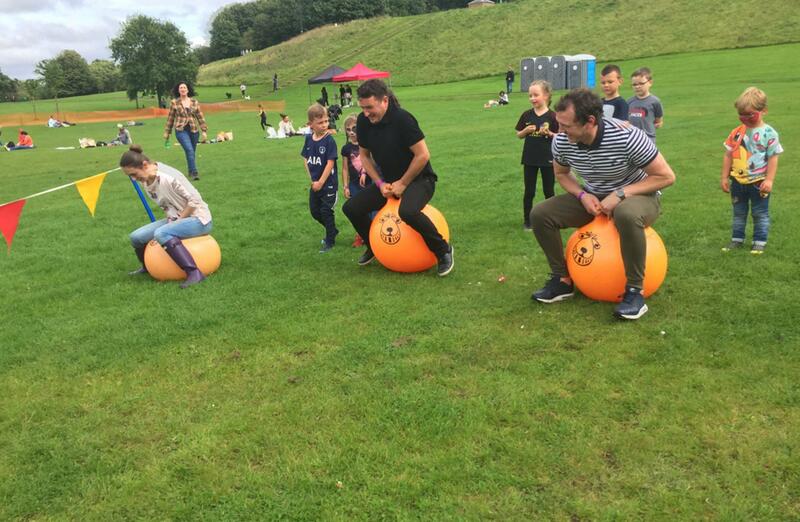 Adults also joined in for the space hopper race, bouncing their way to the end to be the first there and first back to their kids. 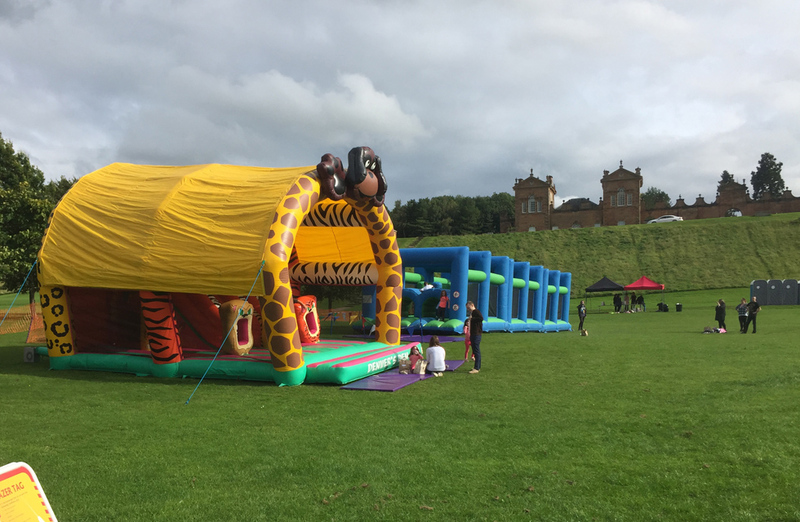 Children enjoyed the bouncy castle, competing to find out who could jump the highest and had a blast in amongst the balls in the ball pool. Denver’s Den was a hit with many hopping on to have fun with Denver and his jungle friends awaiting inside, dashing around obstacles before going down the slide. It was a jungle expedition like no other! 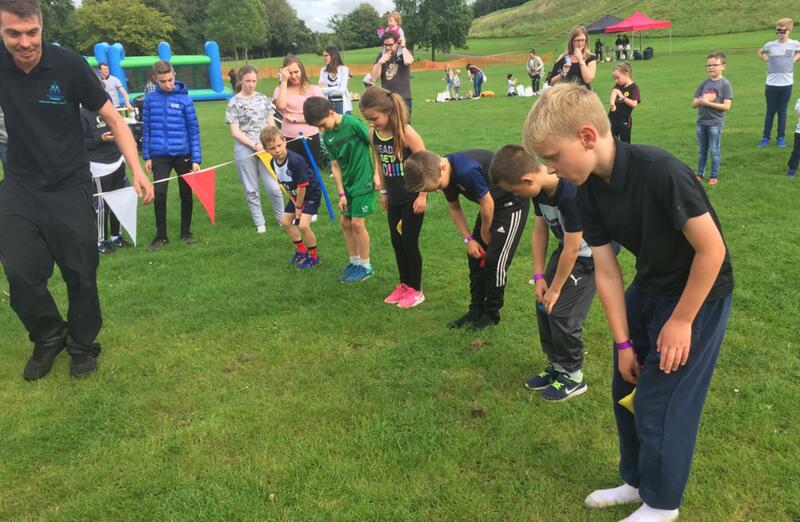 The competitive side came out in the guests when it came to the Gauntlet assault course. Family and friends raced their way through, hoping to be the first to the end without being halted by the obstacles in the middle. This carried on through to the Lasertag as guests teamed up or braved the inflatable as a lone wolf, dodging the fire of other players in an attempt to rack up the most points to be the ultimate lasertag champ. Luckily, everyone was able to complete their mission effectively, making it out unscathed and ultimately having an awesome time. The competitions really heat up at the Archery. Many gathered to watch the hopeful archers take their best shots, aiming for the bullseye, all hoping to walk away with the Team Challenge Company trophy. 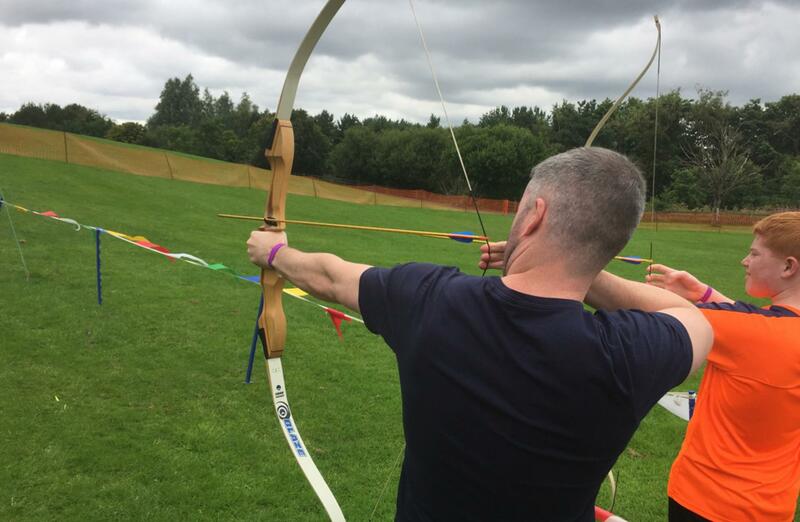 It was a fabulous effort from all with some narrowly missing the top spot as there could be only one Archery champ. 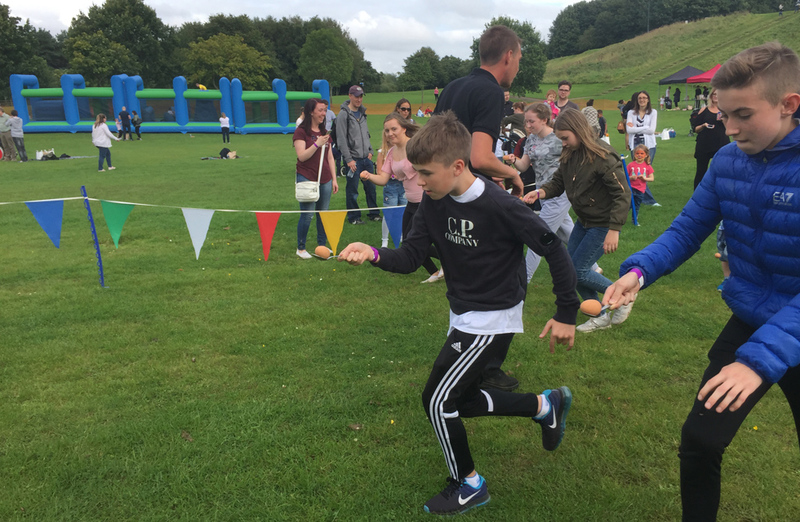 Families and friends alike took part in the Laser Clays, onlookers watched with anticipation as those taking part set their aim and waited for their target to be released. Shots were fired all around as they attempted to hit the target and they watched as their score came up on the screen. It was a battle between those taking part to get the highest score to win ultimate bragging rights, a prize sought by many throughout the day. Strength and balance were put to the test as guests faced off with our bucking bronco. 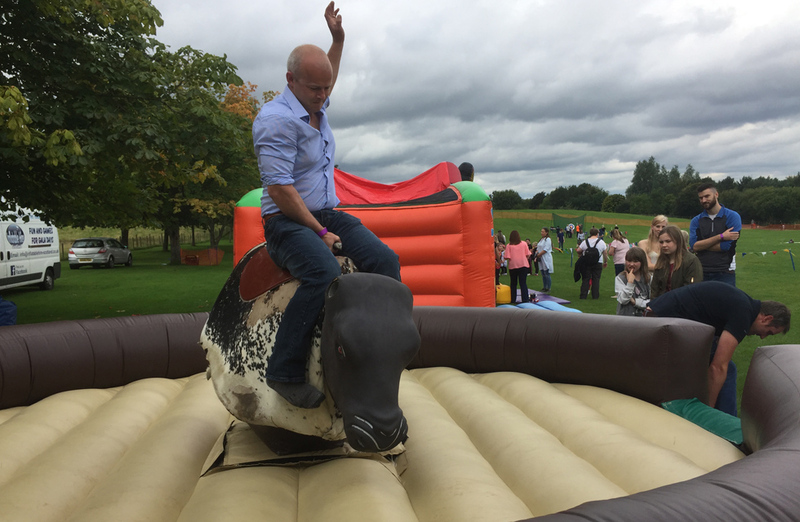 The were flung and spun in all directions as the guests hung on as tight as they could, hoping not to be bucked off, defeated once again by our untameable bull. The ultimate winner would be the one that could stay on the longest, definitely a mission that proved more difficult for a majority of the guests. 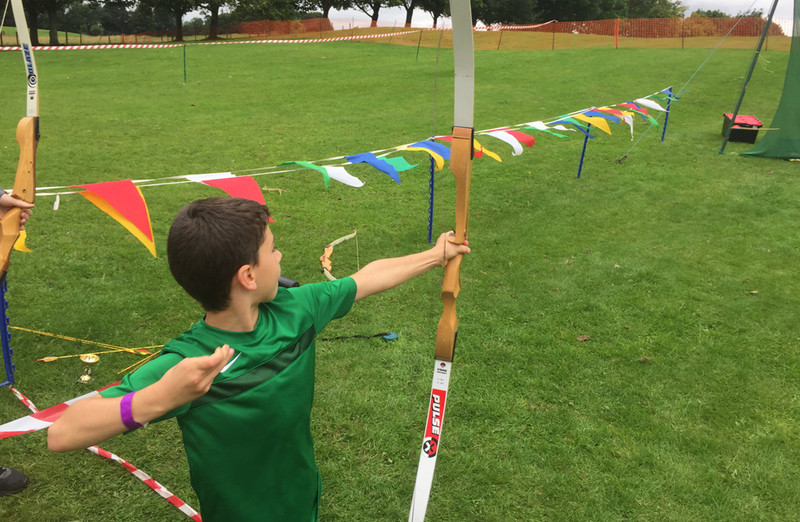 Our fairground games entertained everyone as their aiming skills were put on show. The coconut shy had many over thinking their throws to no avail as many failed to knock any coconuts off of their stands. The adults thought that they had the upper hand on this one but it was actually the children that shone through, putting their parents and family members to shame. Hoopla had guests frisbee their hoops in an attempt to get them over the sticks, a game that definitely had guests try and try again to win a prize. Children decided to have their own competition at Beat the Goalie, gathering round to take their turn and try to score the most points, the game was surely intense and a great piece of fun for the families throughout the day. 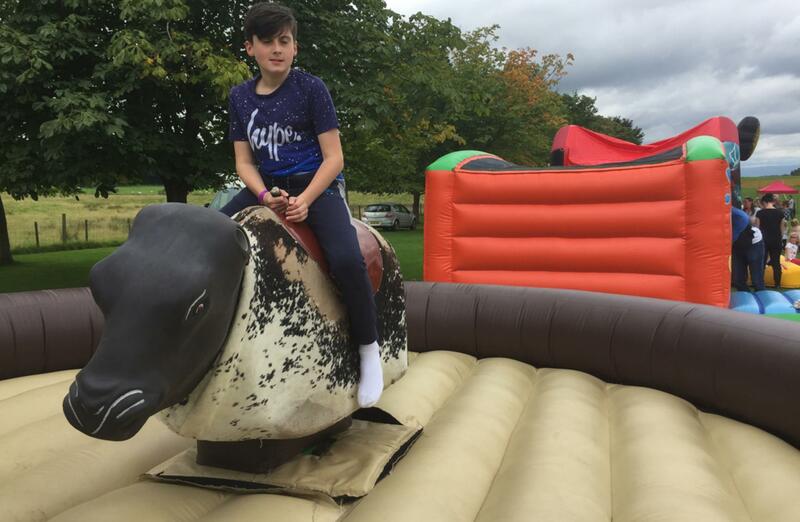 Overall, the day was amazing with guests enjoying the music whilst they had their lunch and took part in all of the activities. The weather stayed lovely, allowing guests to sit on the grass, in the midst of the beautiful grounds of Chatelherault Country Park. Team Challenge Company would like to say ‘thank you’ to Paula for the organisation of the day. It was an amazing, fun filled day for the guests and staff. We can’t wait to see what the next event brings! 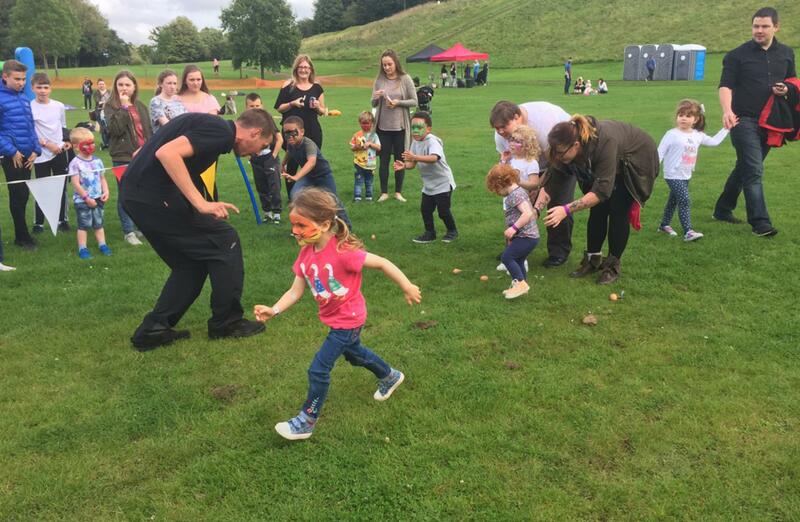 What an awesome day it was, kids and adults enjoying the good weather and great activities.